If you have been injured in an accident caused by someone else’s negligence, you probably have a lot of questions about compensation and your personal injury case. Because the majority of personal injury cases settle rather than proceed to trial, it is helpful for injury victims to understand how personal injury settlement work and how they are calculated. Although each personal injury case is different, and each personal injury settlement is unique, most personal injury settlements follow a relatively common negotiating pattern. Arguably the most important step in a personal injury case, the negotiation phase determines how much the case is worth. Once both sides have gathered evidence, whether in the form of physical evidence or an expert’s opinion, they each decide the true value of the plaintiff’s claim. When considering the fair value of the case, the parties typically try to determine how much a jury would be likely to award the plaintiff in damages if the case were tried by a jury. From here, the two sides begin communicating with each other, trying to reach a mutually acceptable compensation amount for the case. Both sides also review several important areas to decide what dollar amount is a fair offer for the plaintiff’s injuries. Both sides may spend a long time determining which party caused the accident. In some cases, both parties are responsible for the accident, but one party bears a greater percentage of the blame. 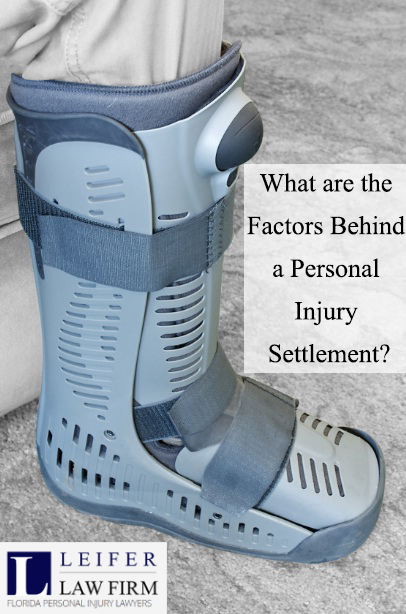 Compensation is usually adjusted for injury victims partly responsible for their own injuries. Working out liability also helps attorneys determine whether a case is worth pursuing aggressively in court. In some cases, a settlement makes good financial sense. In other situations, it is worthwhile to stay firm to a compensation amount. In some cases, the court can also order the defendant to pay punitive damages, which are designed to “punish” the defendant as a warning to others to be more careful. Punitive damages are usually more likely to be awarded in cases involving corporate or high-profile defendants. If you have been injured in a car accident or any other type of accident, it’s important to speak to a personal injury attorney as soon as possible. Your lawyer can help you navigate the personal injury process with confidence.